Kyndi’s mission is to build Explainable AI™ products that optimize human cognitive performance. 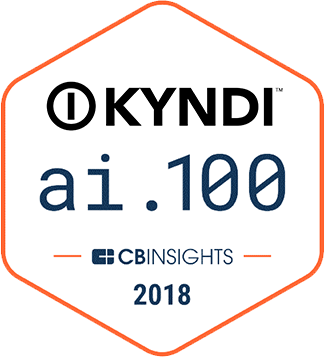 Kyndi is an artificial intelligence company that’s building the first Explainable AI product and Intelligent Process Automation software for government, pharmaceutical, and financial services organizations. The Kyndi AI Platform uses machine learning to streamline regulated business processes and offer auditable AI systems for enterprises and government. Kyndi’s product exists because Deep Learning is a “black box” and cannot be used in regulated industries where organizations are required to explain the reasons for any decision. Our platform uses a novel approach to AI, unifying probabilistic and logical methods. This enables organizations to analyze massive amounts of data to create actionable knowledge significantly faster and without having to sacrifice explainability. Kyndi’s Explainable AI™ Platform supports the following solutions: Intelligence, Defense, Compliance (i.e., for financial services and healthcare), and Research. Crucially, the Kyndi AI Platform also helps to mitigate the human bias that can arise in the process of extracting knowledge and answers from data. Explainable artificial intelligence achieves the level of trust that is so important for accelerated growth and acceptance of this revolutionary technology. AI cannot be a “black box,” as it so often is today. Explainable AI™ means that our software’s reasoning is apparent to the user, and that the system can explain its rationale. This visibility allows you to have confidence in the system’s outputs, be aware of any uncertainties, anticipate how the software will work in the future, and know how to improve the system. Such knowledge is essential to confident analysis and decision making. Explainability is at the core of Kyndi’s products and solutions. With Kyndi’s AI products, knowledge is accumulated and transferred through written forms of natural language. Kyndi has developed a unique and effective approach to NLP to automate and scale knowledge consumption. First, our NLP solution tokenizes text and identifies parts of speech and sentence structure. Next, we identify named entities with real-world references and compute semantic distances between words using our proprietary Semantic Distance Field Model to show us how strongly any two entities are related. Semantic parsing and Relation Extraction allows us to formally name this relationship where both the entities and relationships create a proto-ontology that encodes and condenses the meaning of a document, a collection of documents, or a whole domain. With this clear view of ideas, concepts, and relationships, we build a knowledge graph that scales with your business and that lets you query your collection and retrieve the information you want, not just the words you used to ask the question. Once Kyndi’s NLP pipeline identifies the structure and contents of your data we create a graph representation, no matter the size. With each node in the graph identifying an entity, the connections between the nodes are semantic vectors that signify the relationships and significance between entities. The feature-rich graph enables you to conduct a quick and accurate analysis by matching fragments and returning details relevant to your search queries. To achieve this functionality Kyndi has developed industry-leading technology that allows for sub-graph matching based on cognitive signatures. Kyndi’s core mission is to optimize human cognitive performance by automating trivial and time consuming tasks so that you can focus on the work that matters most. That’s why our primary feature allows you to find the most relevant information as efficiently as possible from a mountain of data. After processing your data with our NLP pipeline you can use a phrase or a natural language question as a search query. You’ll see results that answer your question with full explanations almost instantly. The days of spending more than half your time finding important data are over so you can instead focus your time on things that matter. Where a single question produces highly contextual and specific results, a series of questions can be bundled together to form a model. For example, several criteria are necessary for determining a low, medium, or high potential for fraud in a specific field. You know your industry best and can provide characteristics either in question or statement form that leads to an inevitable outcome. Whether you are interested in detecting fraud, assessing the possibility of success of medical treatment, or analyzing the maturity of technology, we can help you create a trainable model to provide essential insights quickly. Just as with any computer program, artificial intelligence accuracy will only ever be as good as the data and insights you provide. The results presented by the Kyndi Platform will be remarkably accurate and, by definition, explainable. Naturally, there is always room for improvement. Providing a constant feedback mechanism is essential so that as the expert, you can indicate when data is accurate or needs improvement.